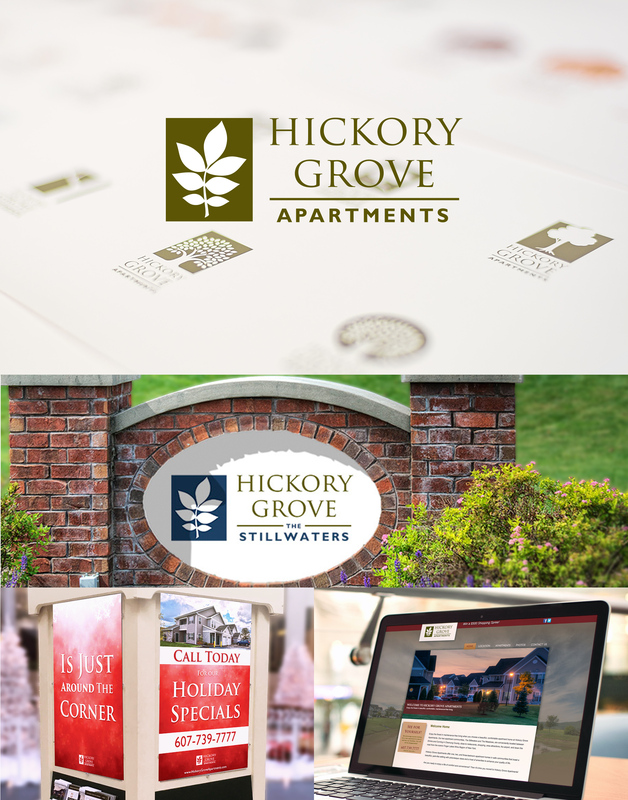 Hickory Grove Apartments needed new branding to address their expanding business needs. HLA worked closely with the client to identify the right colors and develop a new logo that was warm, welcoming and modern. In addition HLA developed corresponding branding for The Stillwaters and The Meadows apartment complexes. A more cohesive brand that was flexible enough to address their current and future growth and easily applied to marketing collateral, signage, as well as the foundation to update their existing website.